Looks like this is the winning costume. And, crap, I realized I forgot to include (probably) the reason why I'm drawn to it. 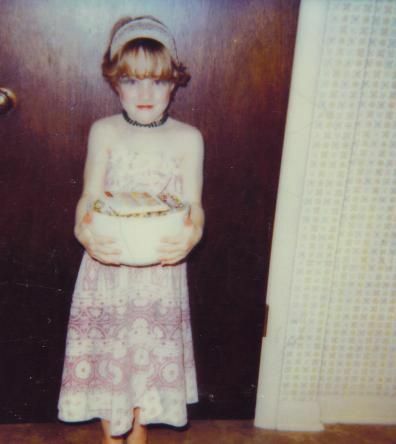 It was the best costume ever when I was a little girl. And thanks for the notes/reminder that I can do this costume on my own instead of buying it. /doh! I just don't have a tendency to think creatively - and I shop too much. On another note, after a month of the scale not moving, I weighed in at 156.4 today. With a little luck, I might actually hit 155 by the time I go to Denver on Tuesday! :) That will mark 70 pounds lost for me. Woo-hoo! How freakin' adorable were you!! um, what do you mean you don't think creatively???!! I would say brilliant photographers are pretty creative! And- love the costume!